Porto Horta is a port on the island of Faial. The island is part of the Azores, which is a group of nine islands 850 miles west of Portugal in the North Atlantic Ocean. Below, you can find all the Porto Horta ferry timetables, journey times as well as our best prices. Porto Horta ferry port is close to the town so allows passengers easy access to the local amenities such as restaurants and cafes. At the port itself, you will find basic facilities including a car park. Porto Horta ferry port is easily accessible from the city by road. If you have your own car you can navigate to the port yourself, or if you are travelling by public transport then a daily bus service or taxi would be your best option. Porto Horta ferry port is located on the south-east coast of Faial, one of the Azores islands found in the North Atlantic Ocean. 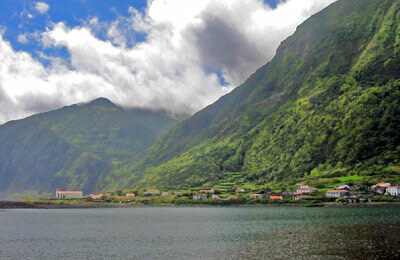 Ferries from Porto Horta go to Porto de S. Roque on Pico, another of the Azores islands. This route can be booked easily and cheaply online with AFerry. 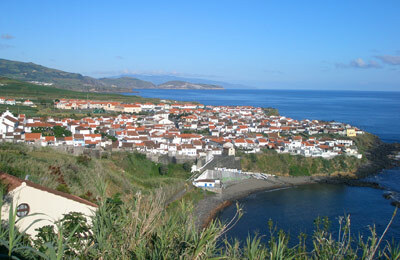 This city of Horta has a population of only 7,000 people (approximately). The city is often used as a stop over for yachts crossing the Atlantic. You will often see some fantastic looking yachts docked in the marina. There are also a couple of museum in the city, including one that has an Exhibition of Capelinhos Volcano. Here you will find some extraordinary photographs of the 1957 volcanic eruption in the Azores.